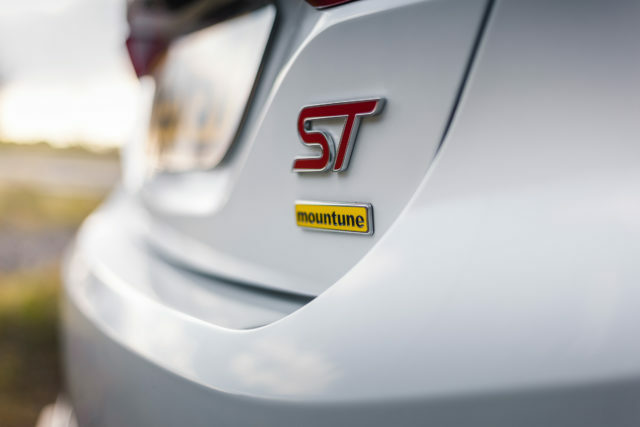 Renowned Ford tuning house Mountune has revealed a new electronic upgrade kit for the current-generation Fiesta ST. Dubbed the m225 package, it sees peak power upped to 222bhp while torque is boosted to 340NM — gains of 25bhp and 50Nm over the standard car respectively. It’s not just sheer power increases on this new package, though. The car’s 1.5-litre engine delivers torque earlier and across a wider rev range when equipped with the upgrade, while a more aggressive launch control programme features too. There’s also ‘Stock Performance’ and ‘Anti-Theft’ modes included, the former electronically bringing the car back to factory performance, while the latter completely immobilises the car until the user deactivates it. Rounding out the improvements is an enhancement to the car’s synthesised cabin sound. Mountune hasn’t given specifics on how the m225 upgrade affects performances stats but says it will allow the Fiesta ST to cover the 0-60mph sprint in under six seconds, while also reducing its 31-62mph time by a second. Fitment of the m225 package has also been made incredibly simple with the introduction of Mountune’s mTune SmartFlash mobile app. Users can simply plug the supplied OBD device into the car’s port, which can then be activated and calibrated via a Bluetooth connection. Mountune’s m225 kit is on sale now through the firm’s website for £479.16, or £662.50 with the recommended induction upgrade.